Our news: the number of images in Super-Tour.com's photobank has exceeded 5000. All of them available for purchase. All UAE photos have a resolution of 2240 x 1680 pixels. 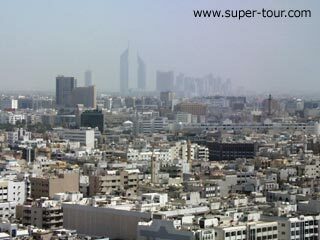 Super-Tour.com – UAE photo gallery, information for travellers & tourists, about tourism, travel, adventure, recreation and entertaiment in the United Arab Emirates! Welcome to the pearl of the Arabian Gulf! Have a nice virtual super tour! The United Arab Emirates (UAE) is situated along the south-eastern tip of the Arabian peninsula between 22° 50 and 26° north latitude and between 51° and 56° 25 east longitude. Qatar lies to the north-west, Saudi Arabia to the west, south and south-east and Oman to the south-east and north-east. Occupying a total area of about 83, 600 sq. km (32,400 sq. miles) - roughly the size of Portugal - the UAE has 700 km of coastline, 600 km along the Arabian Gulf and 100 km bordering the Gulf of Oman. UAE Calendar: exhibitions, events, sales and promotions.